Will you agree if I say you can go long drive on your Honda Activa too? below, I will show you how you can drive long distance like 300KM to 700 KM on your Honda Activa. Honda has been the synonyms of reliability for years. If you are thinking to cover long distance riding your Activa then yes you can rely on this Honda vehicle. It is one of the scooters that are known for providing the pleasure of comfortable riding to its users. 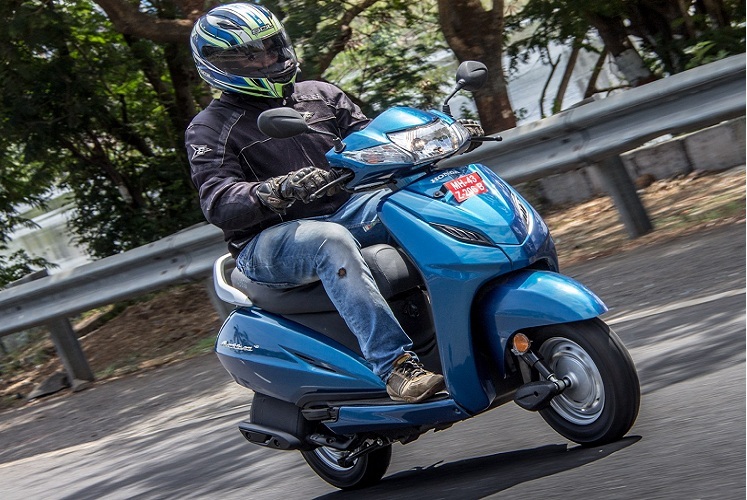 From sufficient power to good mileage, the scooter has everything that is desired by the people who want to travel long distances. However, in order to provide you with the desired output, the vehicle calls for adequate maintenance. Adequate tire pressure, perfect brakes, use of premium quality engine oil and getting your front and rear shock absorbers checked can enhance your experience of long distance travelling. It is recommended not to ride continuously at the higher speed as this can reduce the fuel efficiency drastically. To prevent the engine from getting over-heated while travelling long distance the rider must take frequent breaks as the engine lacks effective cooling. The thing which may annoy you is that the fuel tank capacity of Honda Activa is not enough for covering long distances. If you are thinking of covering distance beyond 300 km then you have to refill the tank several times before reaching the destination. I know many scooters that have been damaged because of long drives . The engine over heats and the valves get damaged and needs expensive repairs . Not only scooters but cars and bikes also. The quality of vehicles made in India are not upto the mark yet. I quite not agree here, except for some safety features lacking in Indian vehicle, engines are all right. My last car was Wagon R and I drove it for 10 years, I had activa since 8 years and recently upgraded with 5G, no issue was there except small parts change and services. I believe you need to take proper care of the engine, the vehicle will last long. @praveen, As activa is an urban scooter and its not made for such purpose, though some daredevils tried for a long trip. Nothing wrong if you know your vehicle. It’s no problem, but please follow instruction. Use the best of your sense to drive it. Not at all. It is not suitable for such a long distance at a stretch. Hi, Best of luck with your drive. I already gave suggestion in the article like, make a halt on few km, keep the engine cool and so on.